Vehicle clamping starts on Thurs. 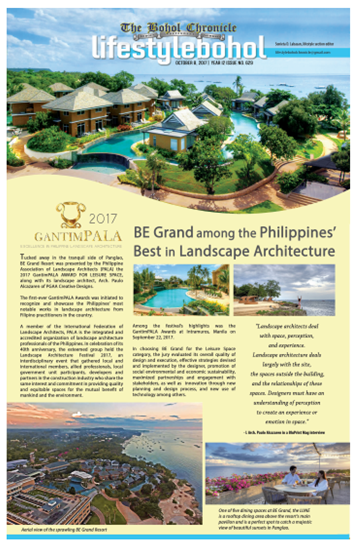 their Public Information campaign before its implementation on Sept. 1, 2016. Starting September 1, 2016, the City Traffic Management Office will implement the City Ordinance No. C-244, series of 2016 or more popularly known as the Clamping Ordinance. The Clamping and Towing Team members attended a seminar-workshop last week on the proper implementation of the ordinance.Â It should be remembered the City Mayor John Geesnell “BABA” Yap turned over the clamping device to the City Traffic and Management Office (CTMO) weeks ago. The ordinance clearly stipulated that any motor vehicle illegally parked or found to be violating any provision of all existing traffic ordinances of the city shall be immobilized by clamping any tire of the violating motor vehicle or will be towed to the City Impounding Area. The CTMO already installed Parking Regulations, Restrictions and Prohibition signs visible enough to the general public and motorists. 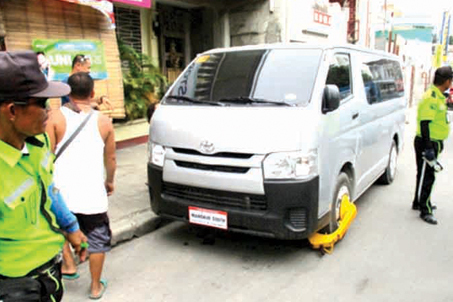 The ordinance also made it clear that the City PNP Traffic Enforcers or members of the City of Tagbilaran Traffic Aides will not be responsible for any damaged caused by the immobilization and towing of vehicles. Further, the ordinance enumerated the following penalties: One Thousand Pesos (P1,000.00) for vehicles 6 wheels and above; Five Hundred Pesos (P500.00) for four wheel vehicles; and Two Hundred Pesos (P200.00) for tricycles and motorcycles. The immobilized motor vehicle will only be released after the payment of the fine and administrative penalty at the designated payment centres or CTMO office. Towed vehicles shall pay an administrative fine of One Thousand Eight Hundred Pesos (P1, 800.00) for the first twenty four (24) hours and additional Five Hundred Pesos (P500.00) per day or a fraction thereof after the first 24 hours. Any person who tampers or tries to release or destroys the immobilization device shall be meted an additional penalty of Five Hundred Pesos (P500.00), plus the cost of the device if found damaged or pay Five Thousand Pesos or imprisonment of thirty (30) days or both at the discretion of the court. Any person who interferes or harass the traffic aide or hinders the smooth implementation of this ordinance shall be meted a fine of not more than Five Thousand Pesos (P5, 000.00) or Imprisonment of Thirty (30) days or both at the discretion of the court.